We are experienced in pump selection and carry information on most UK and European pump manufacturer’s products. E.J. 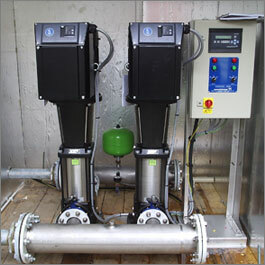 Woollard Ltd is a main agent for Grundfos pumps, we can supply any pump or service in their range including – sewage – waste water – irrigation pumps. DAB and Capari pumps are also available from stock as alternative options.